1. The construction of these rolls can be used blades 37 or 52 mm PVC and PVC boxes of 175 or 210 mm. Slides and boxes of different sizes were created to cover all ranges of window and door sizes. 2. Has many alternative fitting accessories: rolls + Hood, fixed coils + hood and insect hood, roller motor (controlled by switch or remote control). 3. In places where desired, accessories can be installed to achieve folding rollers. 4. Optional in tighting boxes we can add more insulation material. 5. This system provides the so much needed protection against burglary. 6. In cases of higher openings, according to these heights, we can fit more reinforcement inside the lamellae. 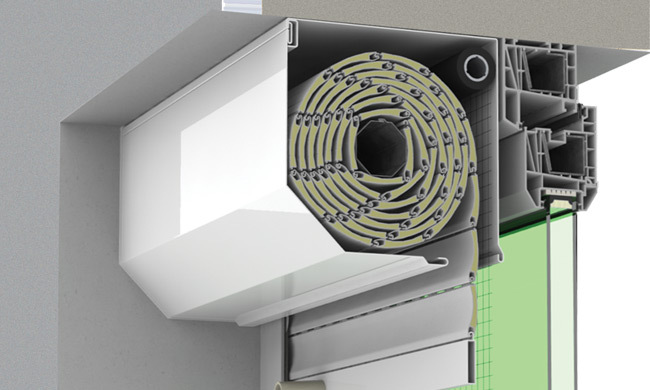 With the external roller shuter,zou will be able to maintain a constant temperatur, even during the hot Summers, so you will no longer need air conditioning and the energy saving be affordable. 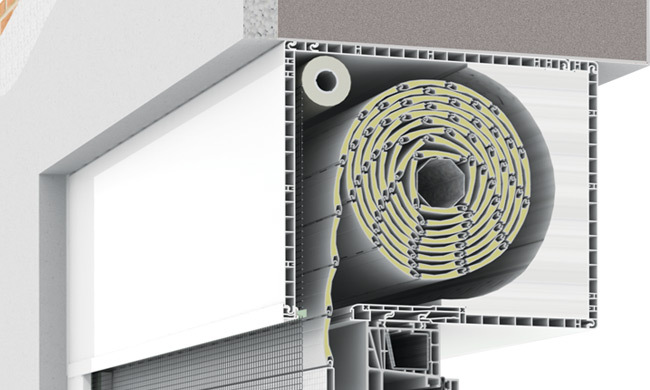 The Soltis and Polyscreen materials found in the external roller systems offer clear, smooth light inside, eliminating contrasts between outside and inward light.Another advantage of the external schutters is that they absorb solar radiation. Outdoor blinds offer a black-out effect, if opaque materials are used, especially in cinemas, libraries and offices. The roller shutter are made of a durable aluminium structure, made of polyester fibres coated with PVC, fire resistant and other weather condintions, can be used for a long time.